Finding the right case for your iPhone 6/6s is never easy. Capdase intros the POSH slim fit case. Know why it should be your next iPhone "partner." One of the major deal-makers of the iPhone is its svelte form factor. You can never deny that the iPhone 6 and iPhone 6 Plus are two of the thinnest smartphones in their respective market segments; thus, finding a case that will not alter the experience of having a thin smartphone is such challenge. Good thing Capdase is now offering the perfect case for your priced iPhones. The POSH Slim Fit Soft Case is under the new product line of the case maker. This accessory is ingeniously designed for iPhone 6s and last year’s iPhone 6. In terms of design, the Slim Fit soft case looks like a fusion of plastic and rubber. However, its texture is similar to the metallic feel of your iPhone 6/6s. Thus, having this on your iPhone feels like it’s barely there. In fact, the case is only 0.6-millimeter thin. This preserves the chic design of the handset. The POSH Slim Fit Soft Case might be feather-like but it gives the best protection for your gadgets. It is made up of TPU (Thermoplastic polyurethane) material which is specifically formulated to be an anti-scratch element. 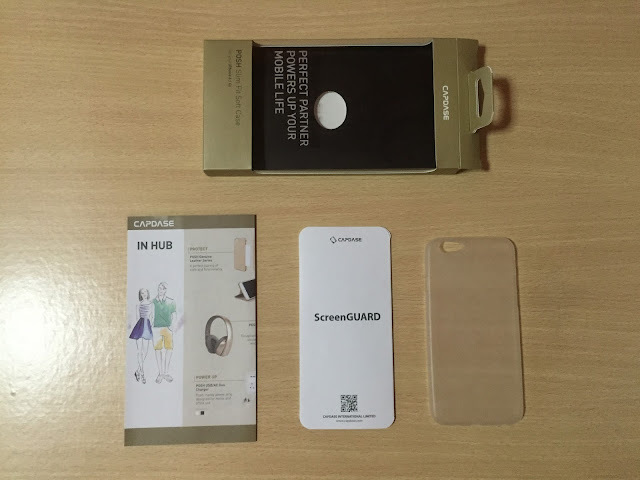 Your iPhone display will also be treated with a complimentary screen protector which is included in the package. This silky-smooth case will undoubtedly make your iPhone dust and scratch resistant. In my time of using the case, I found out that it’s very durable; and it possesses optimal shock absorption capability. In terms of ports accessibility, the case is tailored to give full access to power buttons, sleep/wake toggle and the volume rocker. However, you need to remove the case whenever you need to swap sims. You can choose between gold, rose gold, gray and silver translucent tones to complement your iPhone. Each variant only comes with an asking price of Php 999. There's also another set of soft cases with the same color selection for the iPhone 6 Plus and iPhone 6s Plus. The POSH Slim Fit Soft Case is such a great buy. Being a purist, I love the fact that the case does not cover the sides of the 2.5D glass panel of the iPhone. The continuous scrolling is one of the things I love about my iPhone and the case definitely preserves that experience. The case's finish mimics the premium texture of holding the iPhone without a cover. At Php 999, this adds a great value to your well-loved handset.